Looking for a stylish addition to your workplace decor? 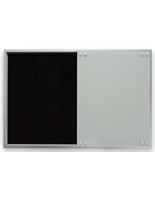 Glass boards for classrooms and offices are modern innovative tools used in place of traditional chalkboards. 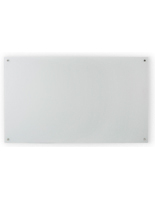 Our marker boards come in two different styles, you can either have them mounted to a wall or have a rollable floor stand model. 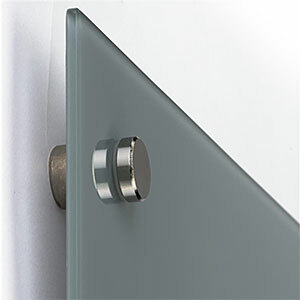 The wall mount style is installed using steel standoffs to hold it strongly in place. 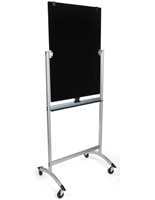 The rollable floor stand model has the advantage of being able to go anywhere in the office or classroom with ease using its four wheels. 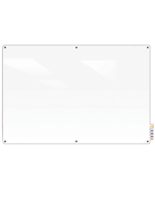 These dry erase glass boards come in many sizes to fit meeting rooms or hallways throughout your building. They are designed to help promote teamwork in office buildings and learning in educational settings. 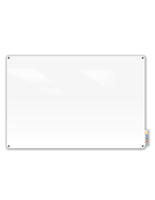 Many of our glass boards are available in a visually appealing frameless design with markers and erasers included. 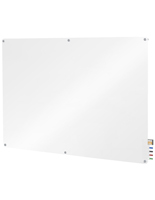 What features make these whiteboards great for schools and businesses? Magnetic - These glass boards for classrooms are great for pinning papers and posters with magnets. 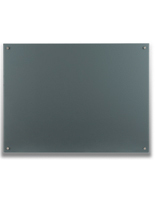 Feature a wide variety of media on these magnetically receptive surfaces. 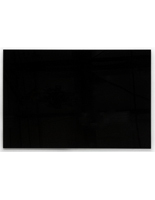 Frameless - These smooth, polished edges are visually appealing to anyone. This seamless appearance gives off a professional, modern look. 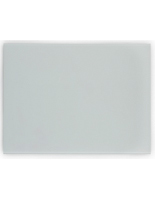 Dry and Wet Erase - The glass surface is easy to write and clean. 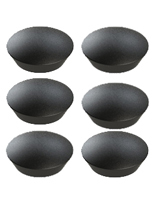 Its sleek design lets writing glide on smoothly and wipe off easy. 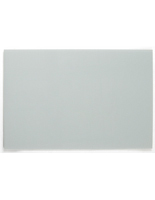 Since most of our glass boards are magnetic, they will hold any paperwork that may need to be displayed like diagrams, drawings or lesson notes. 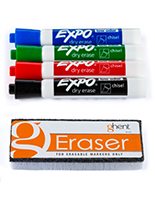 It is common for dry erase markers to constantly get lost, many models have a marker holder to keep utensils organized. 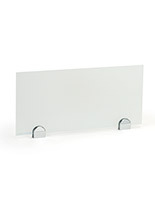 Another plus is that our glass boards are made of the best materials to prevent streaking and to promote great functionality. 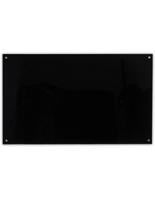 As an added precaution, each display features 0.25" thick tempered material which helps to prevent injuries for better safety in the workplace. 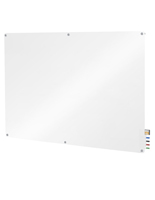 In addition to the glass models sold here, we also have a large selection of wall mount office write-on boards in other cost-effective styles!